Update: This event is currently inactive due to renovations. They plan to re-open before the end of 2012. Free dance lessons for beginning and beginning-intermediate dancers taught at the Miraido Studio in Japan Town in San Jose by Jimmy “Jsmooth” Bui and a host of guest instructors. JSmooth Salsa in the Miraido Studio in Japan Town is one of the first places I started dancing salsa, so it holds a special place in my heart. Every Thursday the instructor, Jimmy "JSmooth" Bui, teaches free beginner level salsa lessons, which usually draw a big crowd. Did I mention that it's free? The Tuesday and Friday night classes tend to be a little smaller, but you can learn more advanced patterns, and there are different instructors every week, so you can learn from different teachers. They also teach bachata on some nights, which is all the rage these days. The only downside about JSmooth Salsa is that very few people stay afterwards for social dancing, so unless you come with friends, it's mostly just a lesson. Still, if you're a beginner, this is a great place to go to learn some moves in a comfortable atmosphere, before checking out some of the bigger salsa clubs and events in the area. I've got nothing but love for Jimmy and Miraido studio. 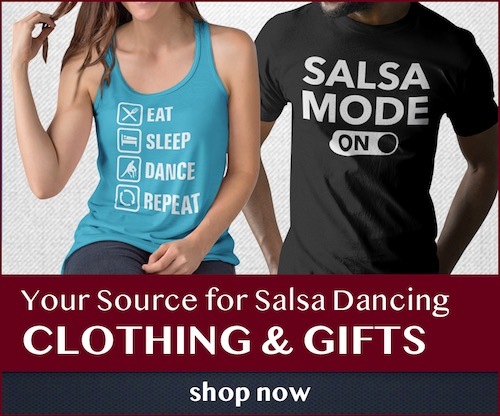 They've been doing a great thing for years in providing free salsa lessons and dancing to the public, and even though I didn't "grow up" there as a dancer, many others have. To quote one of the instructors from JSmooth, "This isn't where you learn to dance like a champion, but it IS where you start."